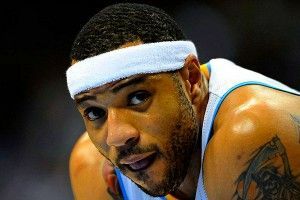 » Can Kenyon Martin Hang With Lob City? Can Kenyon Martin Hang With Lob City? According to reports, Kenyon Martin will be joining the Los Angeles Clippers, accepting a “mini-midlevel deal” with the team. Martin will reportedly join L.A. once the Xinjiang Tigers complete their season. The question then, is this: What does this mean for the Clippers? As you might have noticed, the Clippers, along with the Heat, have taken the alley-oop — once a frill in the offensive playbook — and made it a legit weapon, constantly threatening to bombard their opponents from above. Gosh. I wonder if Kenyon Martin has any experience with this? Oh man, I forgot. Kenyon Martin and Jason Kidd practically invented Chris Paul and Blake Griffin’s whole planet. Grab some protective eyewear. There is going to be so much lob science happening in Lob City, Lob Angeles’ lobratory.